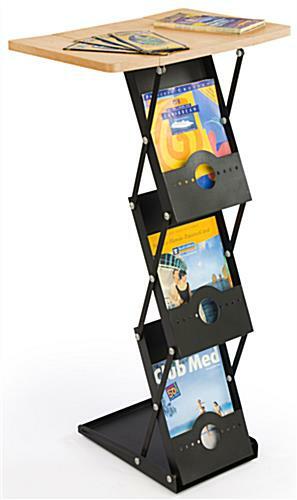 This portable pop up literature stand is a great accessory for trade shows, conventions, and presentations. The high visibility fixture is made up of three magazine-size pockets that fold out in an "accordion-like" mechanism and easily lock into place. 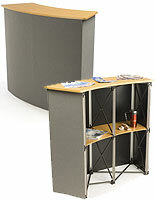 This pop up literature stand, also known as a trade show counter, is an ideal place to display promotional and sales materials, samples, and giveaways. 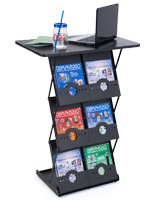 This 39.5" tall magazine display also stands higher than most, making it ideal for digital presentations or laptop use. 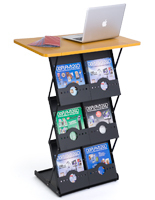 Designed to be lightweight and portable, this literature stand sets up within minutes. 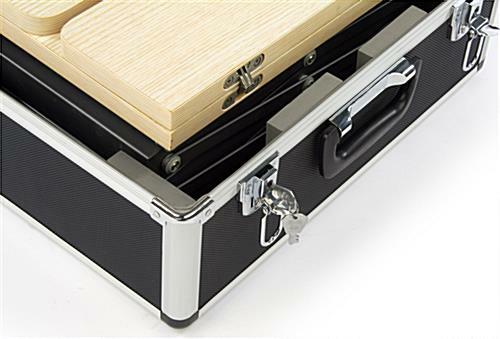 A locking hard-shell travel case is included for secure transportation and storage. 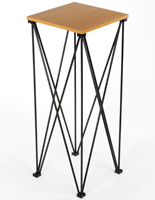 Each literature stand features an aluminum construction with a matte black finish, with a natural 20" x 14.5" wood-grain laminate tabletop that folds in for storage. Three roomy pockets in the base are perfectly sized hold magazines, catalogs, and sales or marketing materials. 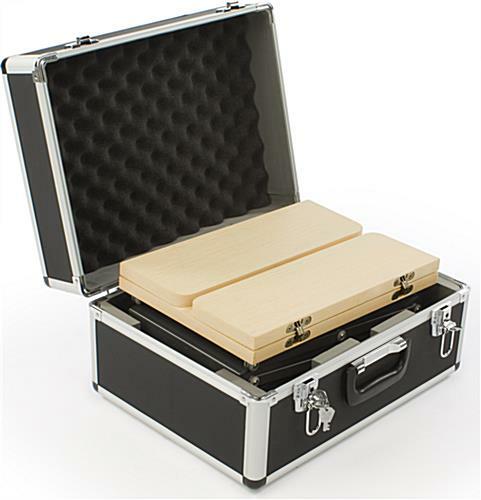 This literature stand's easy-to-set-up design folds up to easily fit inside the included hard-shell carrying case. 10.3" x 7.0" x 14.5"
8.5" x 14.5" x 1.4"